I’m always trying to come up with new vegetarian dishes to reduce the amount of meat we’re eating. Don’t get me wrong, we eat our fair share of meat around here, but I just don’t feel it’s necessary to be eating meat every single day. 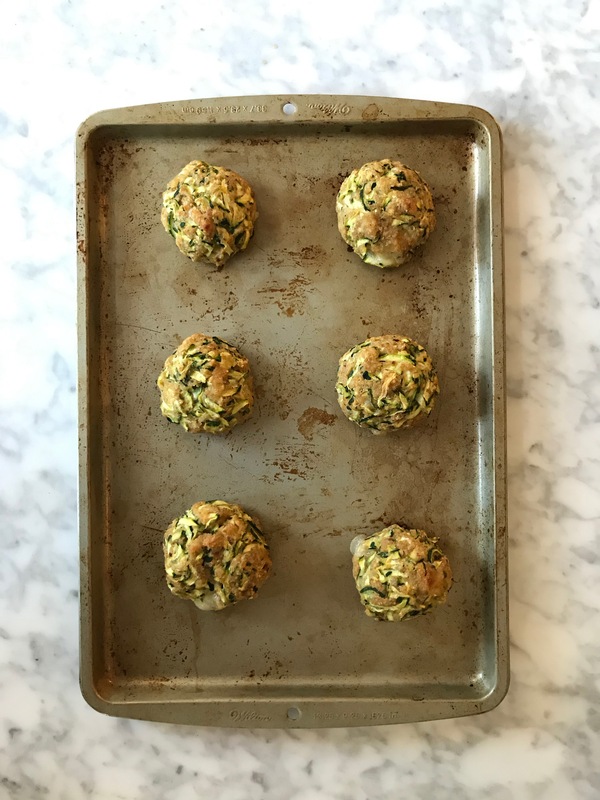 Meatballs are such a versatile item, so I figured why not do a vegetarian version of a meatball which actually tastes amazing! The smell of these reminds me of fresh garlic bread, in the best way possible (obviously). They’re definitely not too garlicky, but the combination of ingredients somehow creates that amazing smell. I love to serve them over spaghetti or cappellini, then top with tomato sauce (just like a regular Italian meatball). 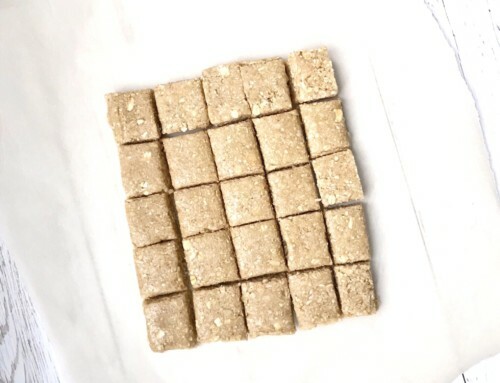 They also hold up great if you’re meal prepping in the beginning of the week and they can be thrown into a meal as a side. Preheat oven to 425 degrees F and boil water in a pot. Cook pasta to al dente, strain and set aside. Grate zucchini with a cheese grater or chop in food processor – it doesn’t matter. I prefer to use the food processor to save time. Strain zucchini using a dish towel or cheese cloth. Add zucchini to cloth, wrap up and squeeze as much of the liquid out as possible. Once finished, measure out 3 cups of packed zucchini and pour into a large bowl. Add all of the other ingredients and mix until combined. You may want to use your hands to get it mixed well. Using your hands, form 1.5 inch balls. I recommend forming them very gently, don’t roll or over work. They don’t have to be perfect. Optional: using finger, make a hole in center of each ball, add a small piece of mozzarella and roll ball back up. 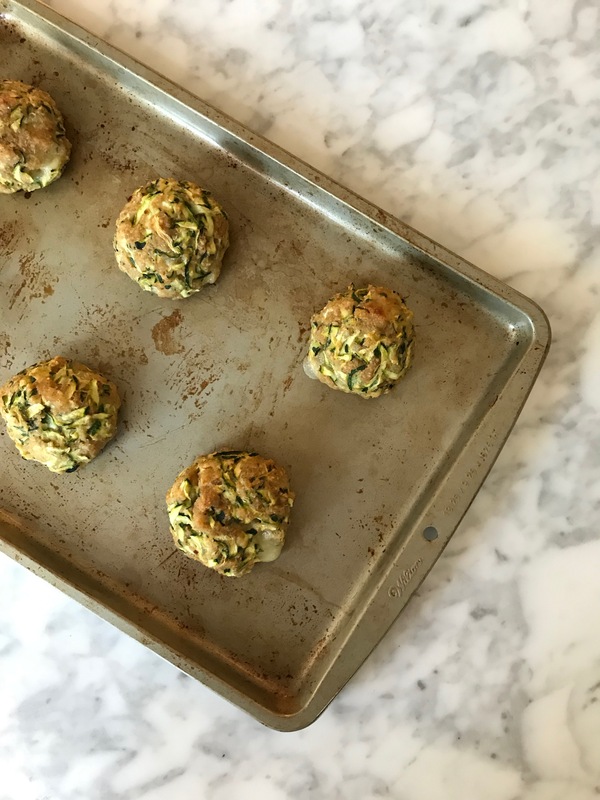 Place zucchini balls on cookie sheets, and baked for 15-20 min, until slightly golden on top. Serve by placing noodles on dish, top with zucchini balls and then top with sauce. 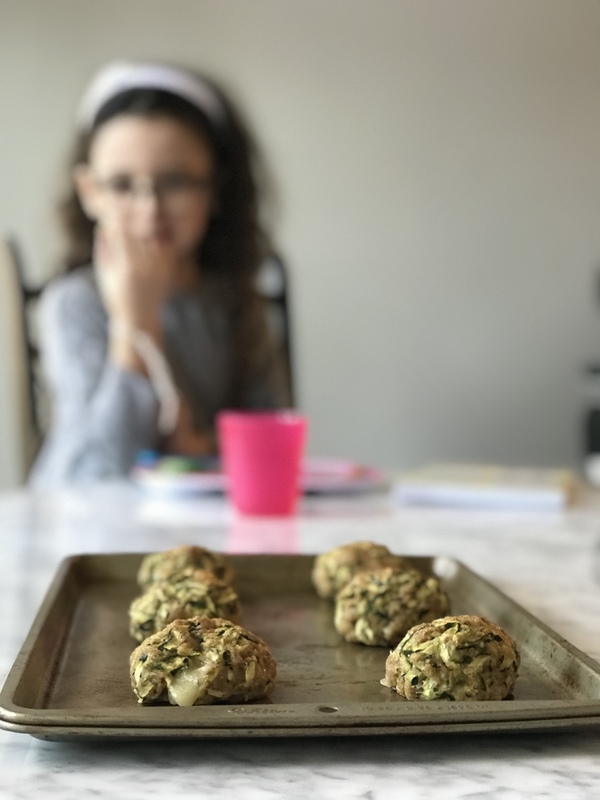 If you are trying to “hide” the zucchini from your kids, you could peel the zucchinis and then use food processor so that there is no visible vegetable. Can be stored in refrigerator for 3-4 days or in freezer for 1 month.